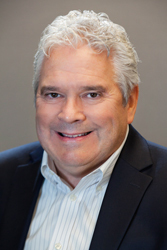 Jim is the Managing Partner at Sassetti LLC, and brings over 35 years of experience to the firm. Prior to joining the firm, Jim was an audit partner at Grant Thornton and a CFO in a corporate environment. He emphasizes building relationships through drive and desire to deliver high quality assistance to privately held companies, professional service firms, not-for-profits, and employee benefit plans. Jim’s experience includes audit and advisory services ensuring owners are strategically growing their businesses. Jim graduated from DePaul University and holds a Bachelor of Science in Accounting. He is an active member of the AICPA, ILCPAS, and serves on the Finance Committee for the Congregation of the Mission-Western Province, and on the boards of XPX Chicago and DePaul Ledger and Quill. Jim enjoys traveling and golfing with his wife, Rosie. Jim also spends time visiting his son at University of Illinois and his daughter at DePaul.